We’re so fortunate in Dunedin to have a stunning literary culture, which is celebrated through our status as a UNESCO City of Literature, and celebrations like the Dunedin Writers & Readers Festival. 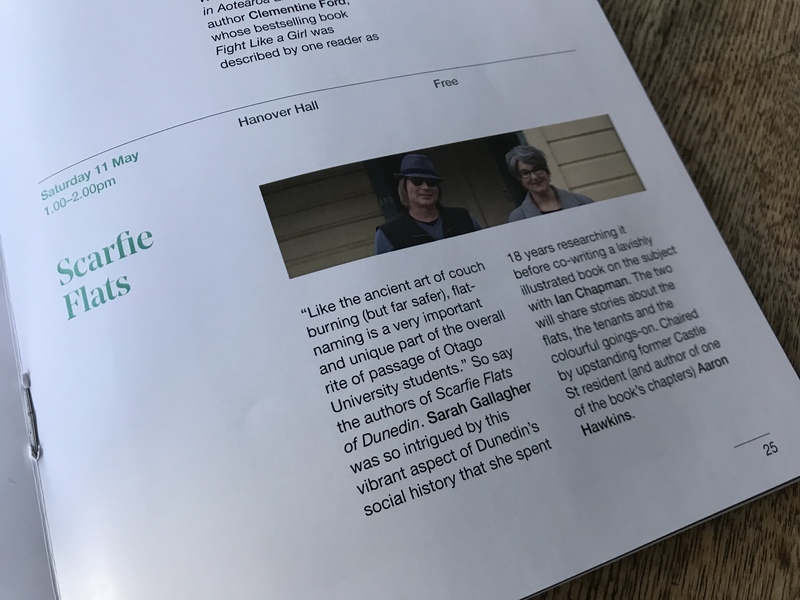 On Saturday 11 May, 1-2pm, Ian Chapman and I will be discussing Scarfie Flats of Dunedin with the wonderful Aaron Hawkins who wrote a stunning chapter in the book. Scarfie Flats is a free event.